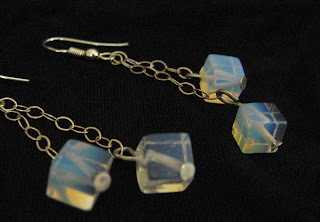 I saw these opalite cubic beads in a store and fell in love with them. 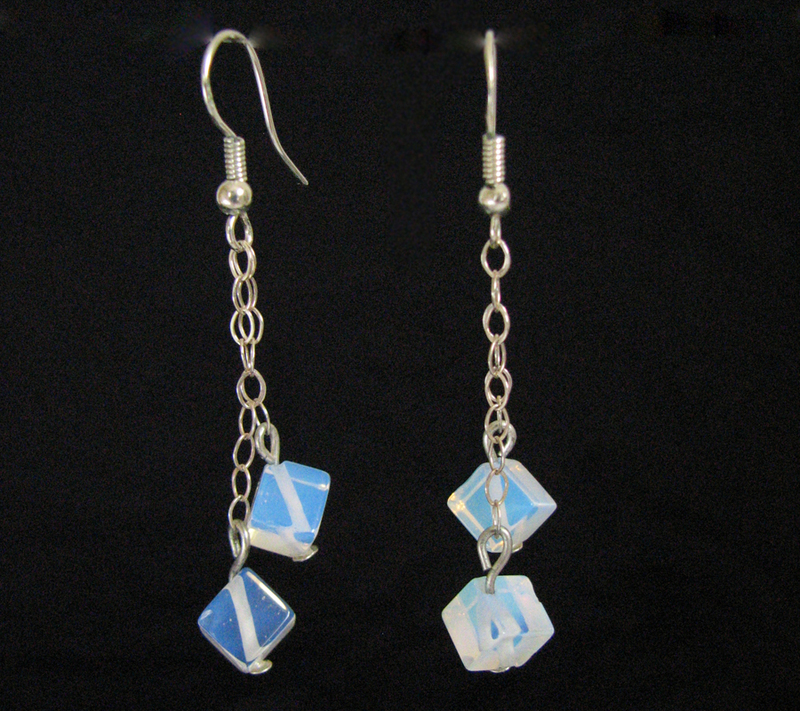 This is the first of many jewelry items I have in mind for tham … They are hanging from sterling silver chain. 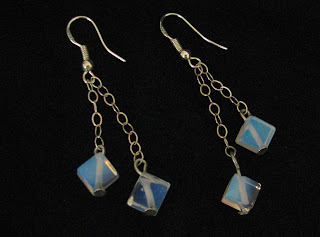 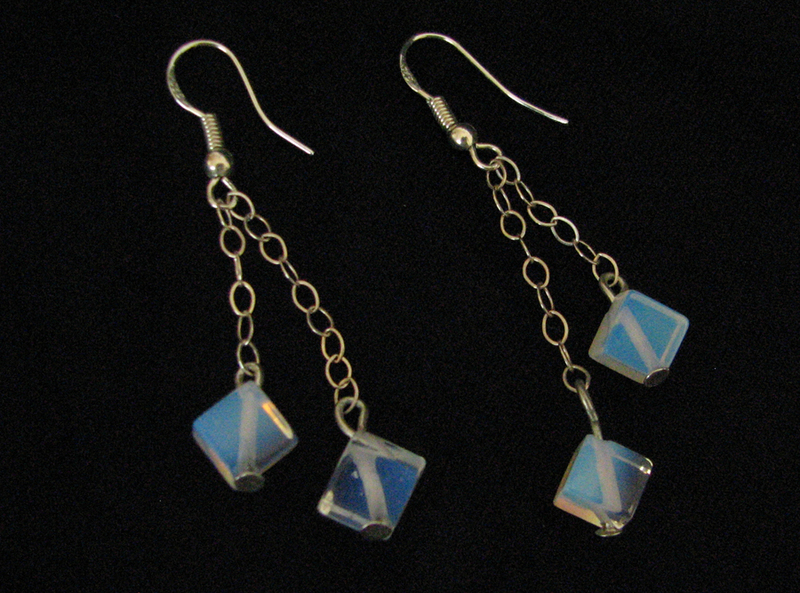 I wore them to a wedding and got many compliments, especially on their bluish transparent color. Holiday sale in my Etsy shop – 10% off!